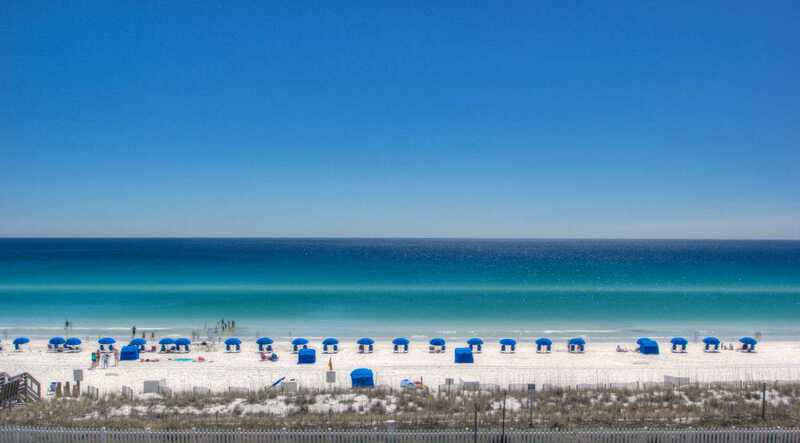 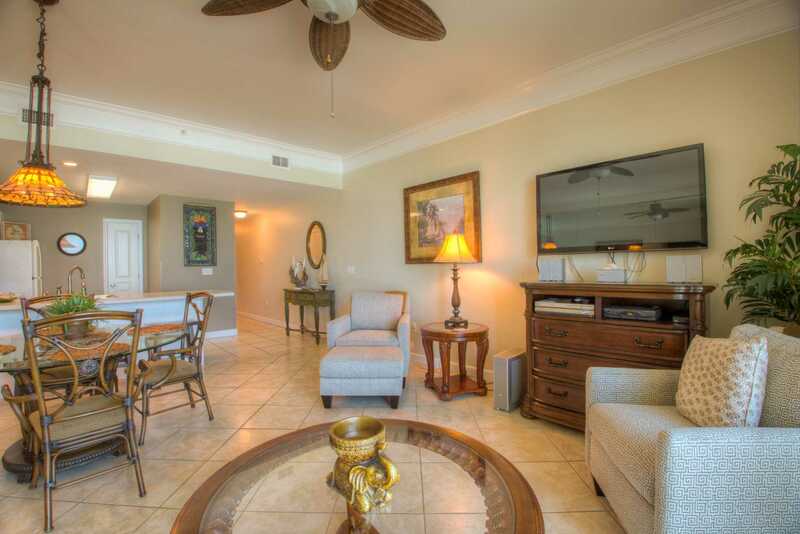 Beach Retreat, is a four story, 44 unit, gated complex with a 3,000 square foot heated pool and hot tub, newly furnished fitness center and BBQ area. 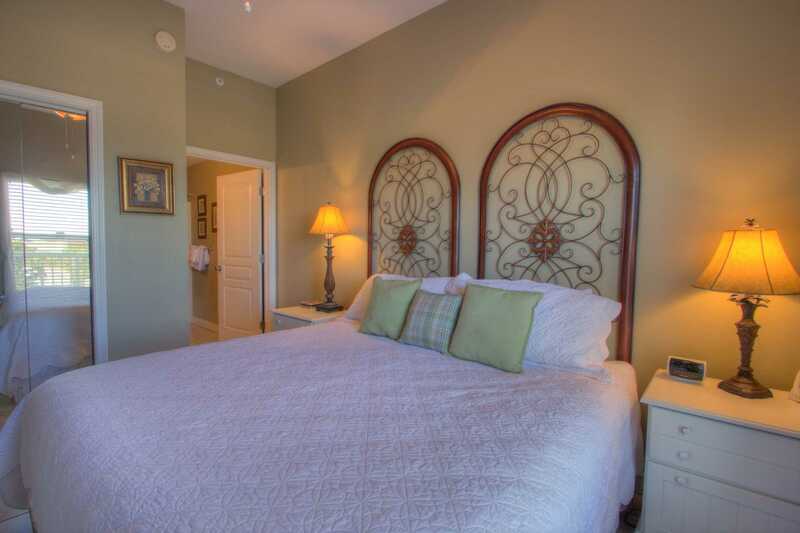 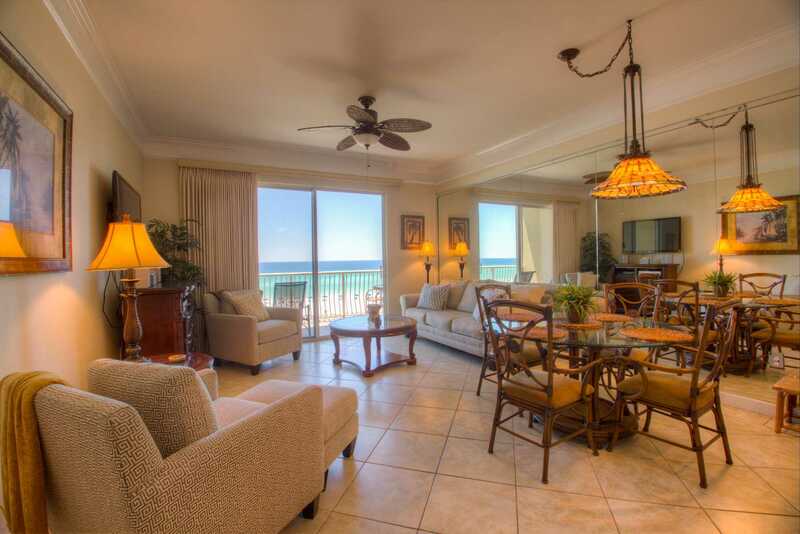 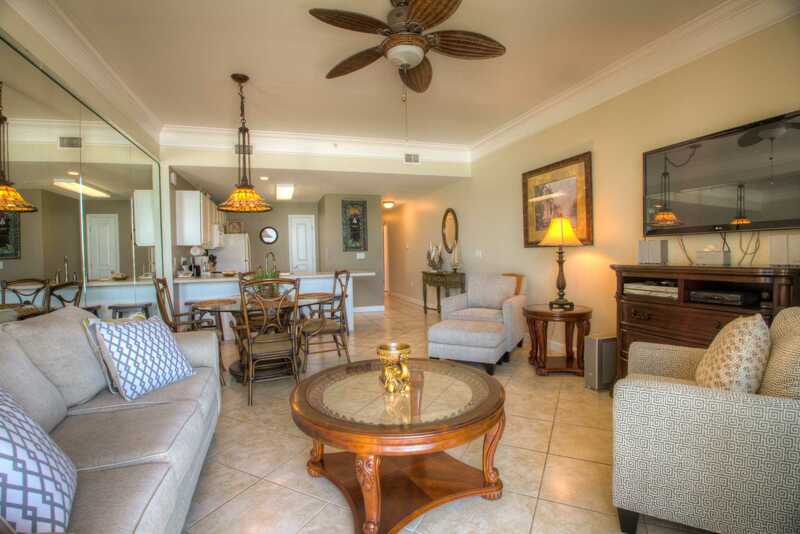 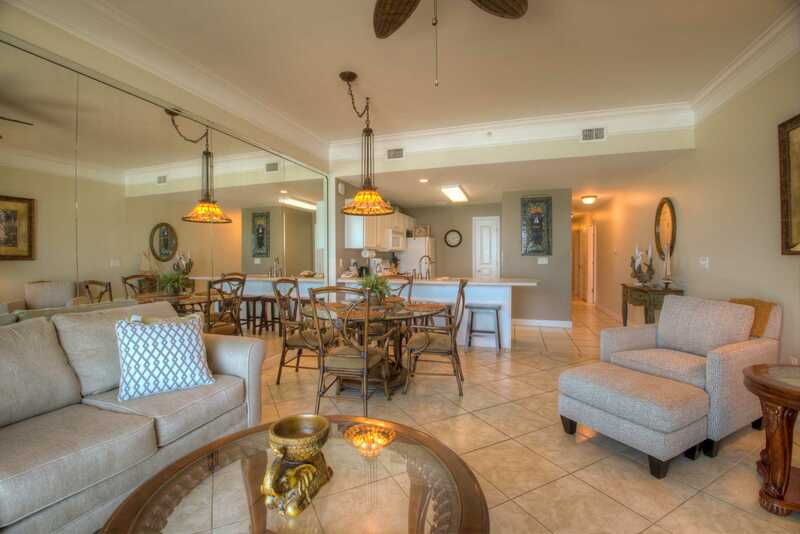 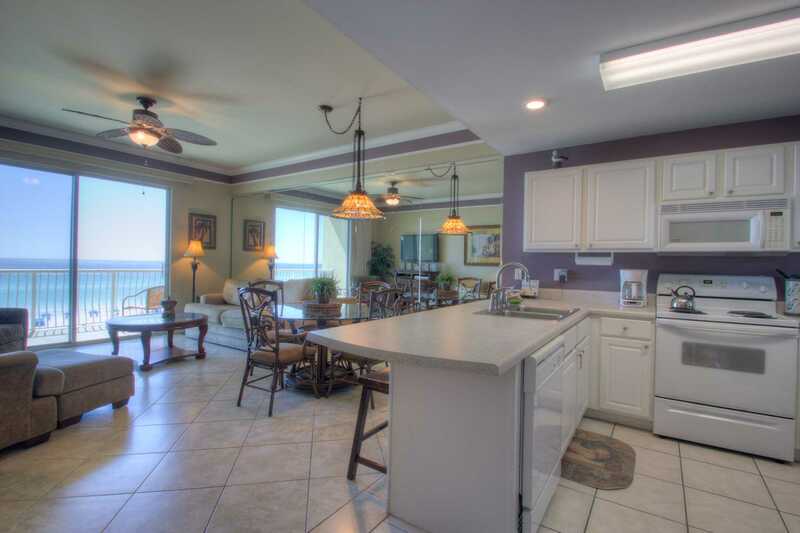 The view of the gulf is breathtaking from the sliding glass doors and spacious balcony. 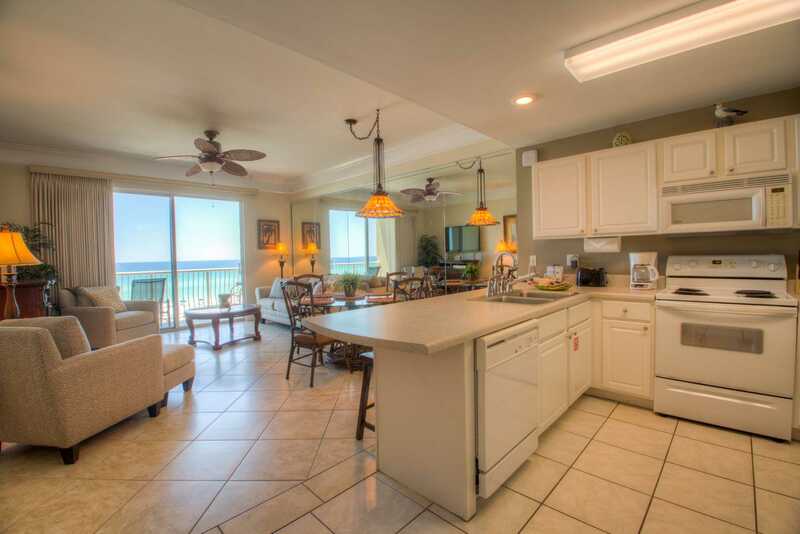 Private beach access, and 2 free beach chairs with umbrella (March 15-October 31), help make this a must stay property! 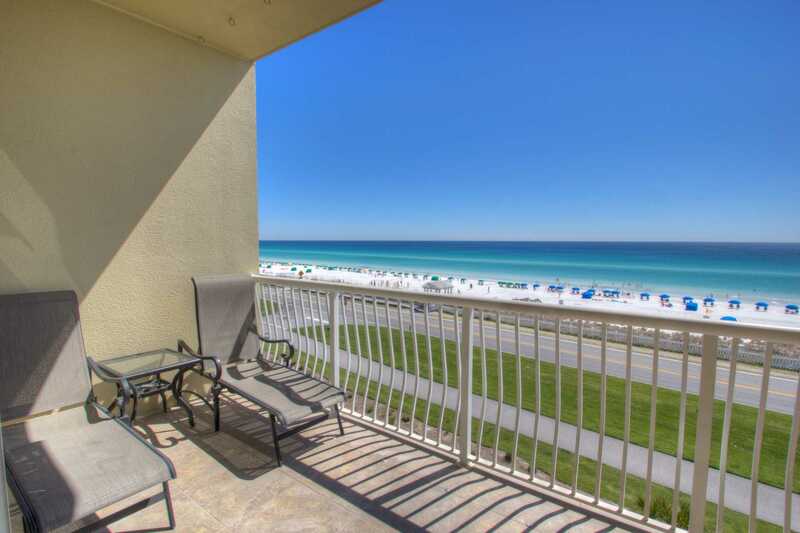 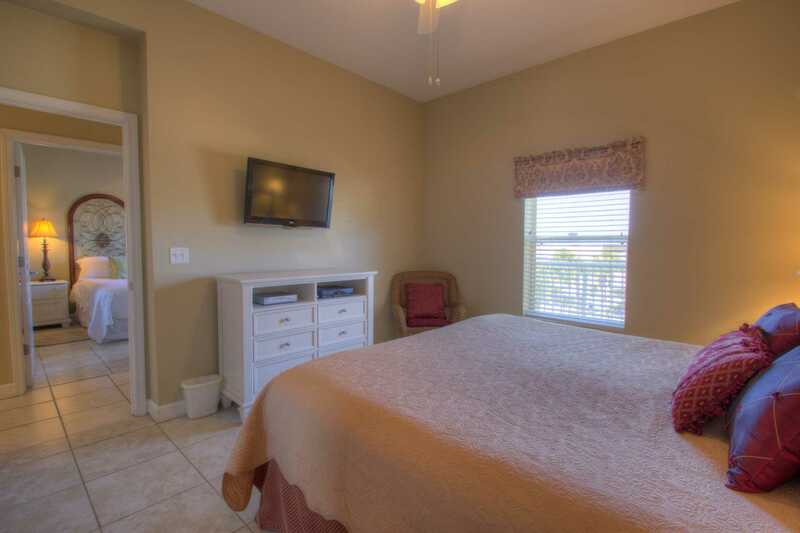 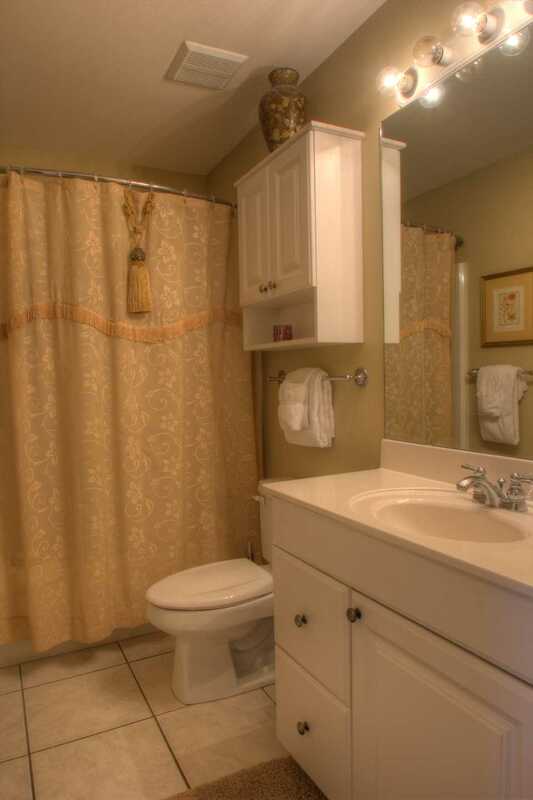 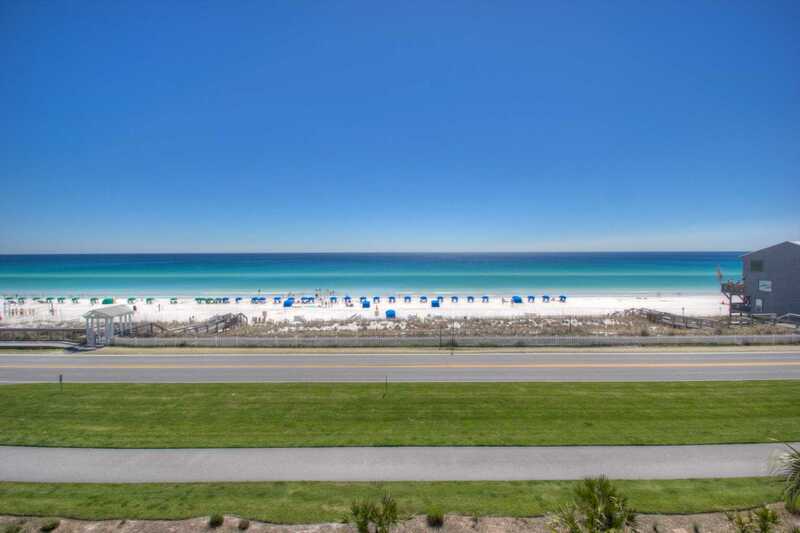 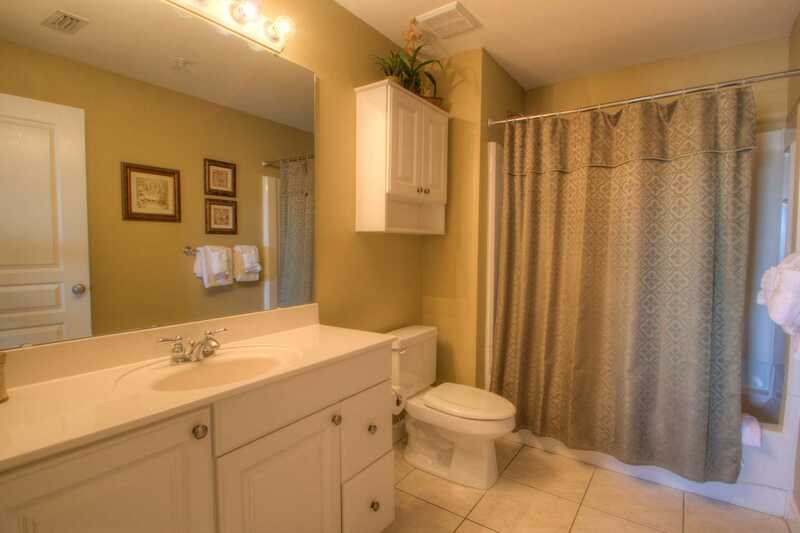 This is a beautiful unit located on the 3rd floor at Beach Retreat it has nine and a half foot ceilings, crown molding, ceramic tile throughout fully equipped kitchen and a washer and dryer. 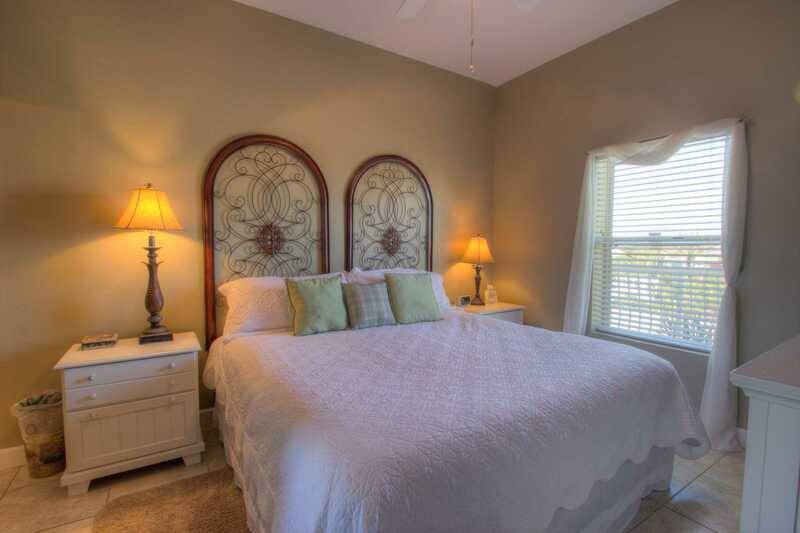 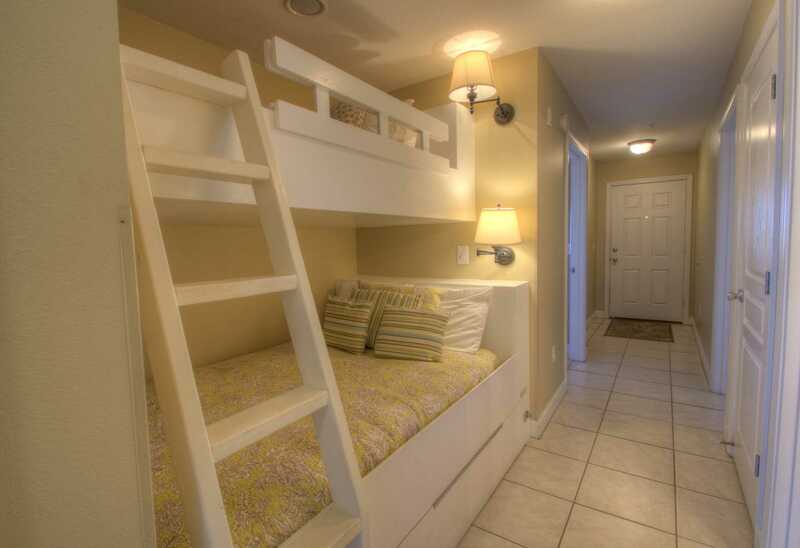 The Master bedroom has a King size bed and King guest bedroom also, bunks in the hallway and sofa sleeper, eight can sleep comfortably. 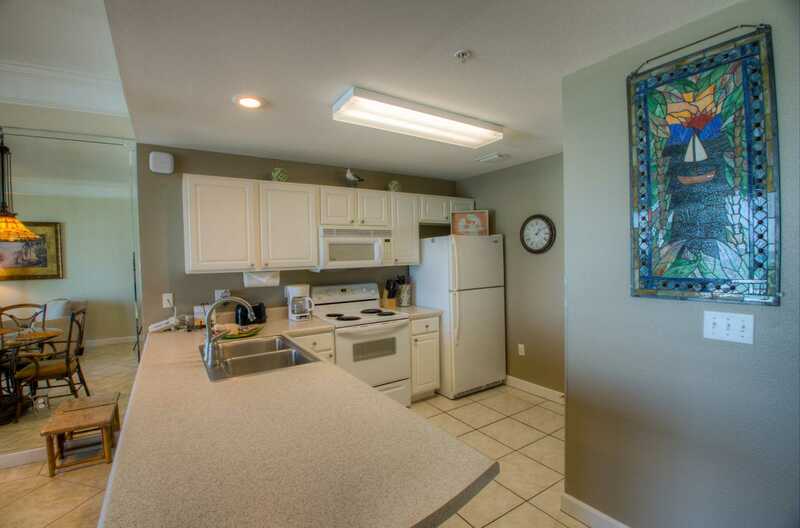 Flat screen TV's, and tiled the covered balcony. 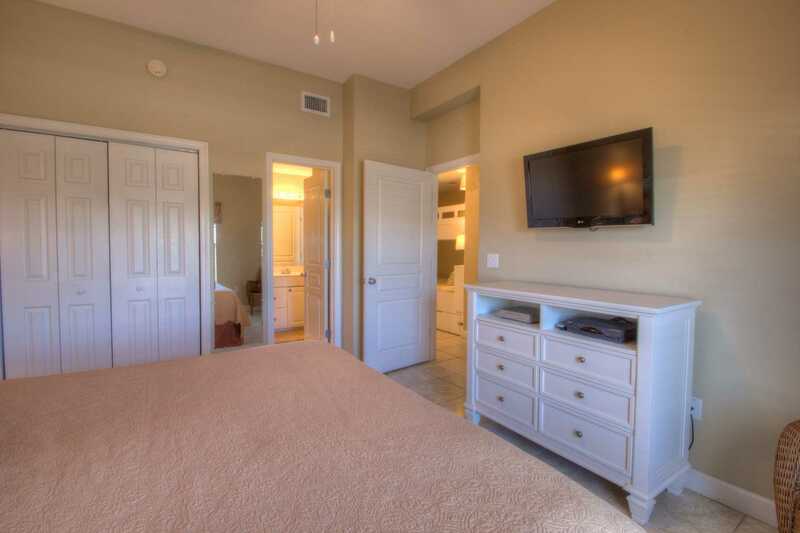 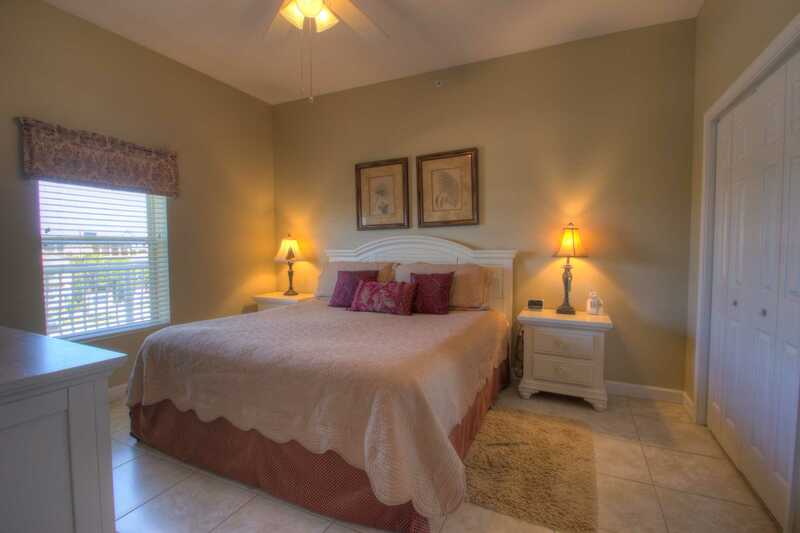 Entertainment system w/High Definition in the living area, and HD in the king bedroom.